(Is it heartless to go on posting without Larry? I hope not--here's something that I know he'd like, and as people always say after someone dies, "he would have wanted me" to keep posting just for the fun of it, which was why we started HH in the first place). 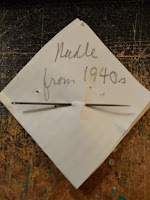 Yesterday, I found a sewing needle that's undoubtedly from the 1940's. Exciting, right? I volunteer at the Stearns History Museum in St Cloud. I'm currently scanning the pages of a book. I sit next to Elizabeth who's one of the archivists who are indexing the collection. She's found amazing stuff and ho-hum stuff and "why-are-we-keeping-this?" stuff. Yesterday, she was recording a box of random cookbooks (one of five boxes) that have been donated but don't fit in other collections. One of her tasks as she documents is to remove metal staples or pins she finds in the materials because they rust and destroy documents. When there's something really remarkable, she shows me ☺--yay! 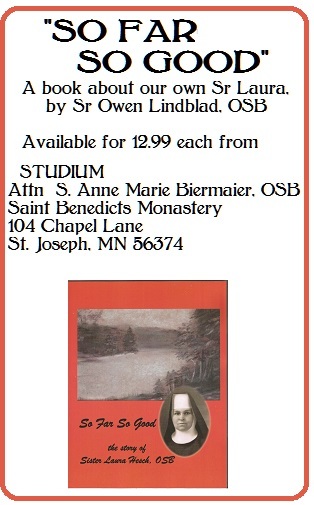 This particular book started as a 9" x 5" fancy fabric sample book (1920s? ), one swatch on each card stock page. The fabric was gone, of course. 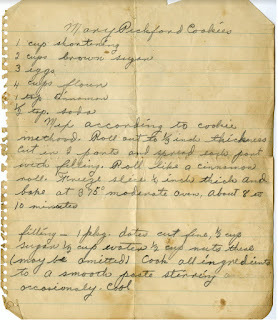 Each page was originally blank on the back, a perfect book to re-use for recipes and mementos. 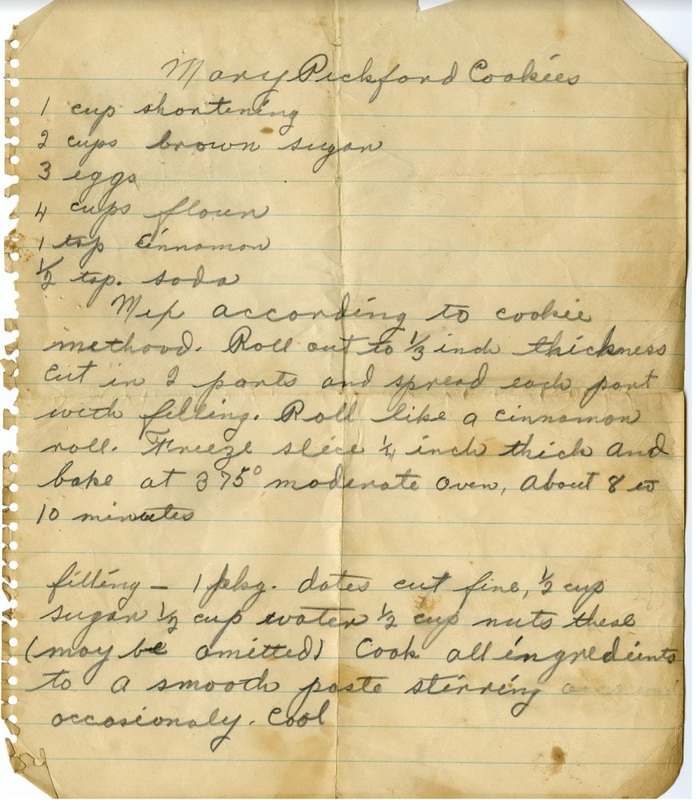 There were a lot of newspaper recipes that this woman intended to try, you could tell, and the occasional obituary or article she wanted to keep. It was all stuff important to her. We couldn't tell who she was, tho most of the clippings seemed to be from the 1940s. I can imagine myself doing what she did: two clippings pinned together with a straight pin, and another 2-3 pinned together, and 2 more....finally, when they fell out of the book once too often, she pinned the whole stack together with a needle. There were 9 pins and the needle in that stack! How am I different than the woman who kept that book? 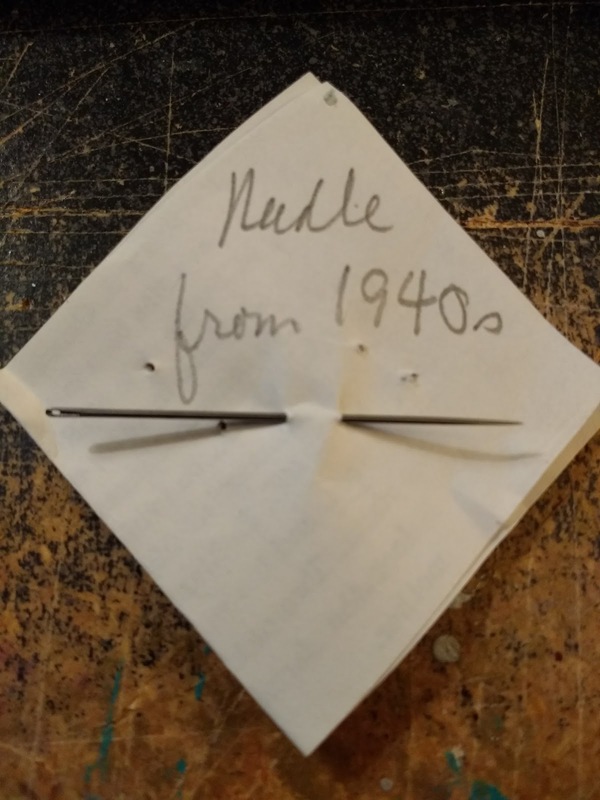 I saved a needle just because she saved it in her recipe book, and because it's been stuck between those pages for 70 years or so. We're all the same, aren't we? Now I have a precious needle.